I’ve never quite understood the little chewy chocolate confection that has been around for so very long, but surely there must be more to this popular candy than my taste buds realize. A quick survey among friends revealed to me that people actually enjoy these things, although I’d like to see someone consume half of the collection I’ve accumulated since the reject stash of the summer parade candy. The Halloween supply might put me over the edge, but somewhere, someone would jump for joy. It’s no surprise that we amass so many of these sweets. 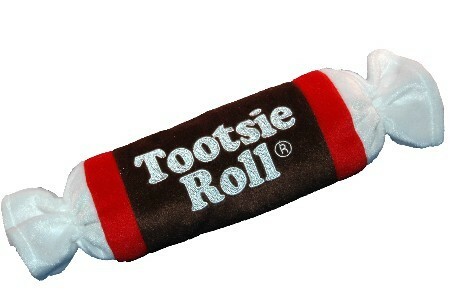 According to the official Tootsie Roll web site, 64 million are produced every single day. And theoretically, every roll produced has a tiny bit of the very first Tootsie Roll ever produced because of their special technique of incorporating yesterday’s batch into today’s. That means that if you eat one this Halloween, in theory you are eating a very little piece of the first Tootsie Roll ever made in America. Keep in mind that the first ones were made by Leo Hirshfield in 1896, which might explain exactly what is that odd flavor that sticks in my teeth whenever I do eat one. My children do not only share my dislike for the original rolls, which were named after Leo’s daughter’s nickname, but they also have something against the inside of a Tootsie Roll pop—that giant-sized sucker with minimal sucker and maximum tootsie. These lollipops have been known to be passed out as ghosts on trick-or-treat night, where a tissue is draped over and tied with a piece of yarn. Two eyes drawn in felt pen stare at you as if to say, “go ahead. Try to figure out how many licks to get to my middle.” If any one of my kids had the actual patience to count the number of licks it takes to get to the center of a Tootsie Roll Pop, they would jump for joy and then hand me the chewy chocolateness on a stick. Lucky, lucky me. A bit of research will show you, however, that you might not actually even have to count the licks. Children who write to the Tootsie Roll company to report their lick count are rewarded with a “Clean Stick Reward” (also printable online for cheaters everywhere,) and while the numbers range from 100 to 5,800, the average is about 700 licks. I, for one, will not be doing any such experiments. And so it stands that while I sit surrounded by the piles of Tootsie Rolls we have collected over the year and my kids run around on a Snicker’s sugar high, I have to wonder if I really am missing something. A candy so with such a solid history and so many fans must have something to offer that I’m missing. She’d live forever at my house. What's your favorite reject candy? Let me know in the comments below. Just don't leave me any Tootsie Rolls. In a moment of weakness and semi-insanity, I agreed to help take on an entire Girl Scout troop. And while anyone who truly knows me knows that there is probably no better job for me, I have to admit that it’s harder than I thought it would ever be. 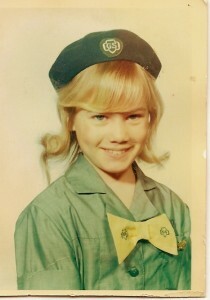 Growing up, I was a Girl Scout for many years. The girls in my troop were without a doubt my best friends, and my leaders were positive and permanent role models in the way I live my life even today. It was, all in all, an outstanding experience that I wouldn’t trade for anything – not even all the badges in the world. As it was, for all of the years I was an actual scout, the number of badges we actually earned were very few. It was almost as if one night around a campfire the leaders looked at each other and said, “we don’t need no steenking badges!” and they erupted into hearty belly laughs. But here I am, faced with having to plan meetings and read books and organize beyond my wildest dreams, so that our troop can earn the lovely badges that grace their fancy uniforms and look fantastic. Meanwhile, we leaders end up run ragged and usually have glue, glitter, or paint stuck to us somewhere, and there’s not a badge in sight. The Clean House Badge. This a badge worthy of the Mom Scout who is always ready for the unexpected guest without just shoving everything into the laundry room and closing the door. To earn this badge, complete at least one of the following: a) Find the bottom of your kitchen counter, b) dust your return air vents, or c) scrub your toilet tanks with a toothbrush. The Sports Badge. Contrary to what you might think, a true Mom Scout doesn’t need to even flex a muscle to earn this badge. Instead, she has to sit absolutely quietly, either in her car, on a bleacher, or on a folding lawn chair while she watches her children all play sports and tries hard not to yell at officials and even harder not to hit the concession stand for snacks a-plenty. Food: Simple Cooking Badge. In real Girl Scouting, the girls are required to do things like plan a simple meal and make sure it is part of a balanced diet. For Mom Scouts, the ante has been raised. Not only do you have to plan it, but you have to race to the store last-minute because you’re oddly out of mustard. You then have to finish the preparation and set the table in light speed because someone has practice of some sort in fourteen minutes. Know Your Nature Badge. Forget the wilderness and survival knots and foraging for plants to eat if you were stranded, this badge has to do with one thing: flowerbeds. They must be neat and weeded and seasonally correct, and this badge can be revoked if, come January, you have the skeletons of summer’s flowers poking up through the snow. Community. 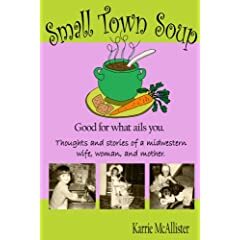 For a Mom Scout to earn her community badge, she must give selfishly to the community, volunteering for everything she possibly can even though it means that she puts her own life on the back burner to get it done. She must be overscheduled, underpaid, and believe she doesn’t have the word “sucker” tattooed on her forehead. For an extra gold star, she might even lead a Girl Scout troop of her own. By the way, cookie orders start in January. If you must know, I’m a Facebook junkie. I consider it my morning news, my afternoon conversation, and an easy way to stay sane so I don’t end up just talking to myself all day long. It also makes a great gossip column, not to mention a nearly effortless way of reconnecting with old friends and new acquaintances. 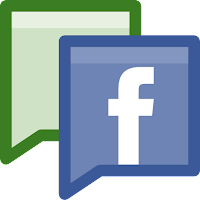 But with every simplicity in life comes some other form of inconvenience, and for all of the hours I spend on social networking, it only took me a minute to figure out the main downfall of this new-fangled way of interaction. For all the communicating, it makes you actually miss people. Mostly, I miss the face-to-face conversation, the laughter, and the emotion that inspired friendship in the first place. Before the days of logging on to get the latest scoop or see a recent picture of a friend’s child, I used to meet my friends and chat over coffee while dishing the news and sharing a smile. Now, if I want someone to be my friend, I just ask them. A simple click on the “accept” button and instantly we are connected in an elite group in each other’s lives. But back in the day, if I wanted someone to be my friend, I had to actually talk to them, to ask about their day and care about their life. There was no button to click, no email notifications. Instead, a friendship was sealed with a handshake or a hug—an honest touch between two people without a pop-up window to be seen. Conversely, if someone really drives me up a wall and back down again, or does something to hurt my feelings, now I have some simple way to remove them from my life. I simply delete them; a sly “unfriend” action that seems like the cowardly way of breaking up with a middle school boyfriend, when you wrote a note and folded it up and gave it to a friend to give to a friend who stuck it in his locker. No body has the guts to do even that much these days. Just a click and it’s over, which sounds cruel but would have made middle school a lot less difficult. If someone is still a kind person but annoys you by posting or tweeting their every move all day long, you have an option of merely “hiding” everything they have to say. I personally don’t like to hear about how great your life is, how perfect your kids are, or how delicious your dinner was while I ate a bowl of cereal. But with hiding or unsubscribing, I have the virtual choice to put my fingers in my ears and sing la-la-la-la-la so I don’t even have to hear about it. Handy, yes, but back in the day if someone grated on your every last nerve you actually had to physically not be there or not listen which gave the person a pretty good hint of how they made you feel. I’m not sure where all of this leaves us as a society. We are caught in a chasm between connection and disconnect, stuck in a space that has the chance of being beautiful or hypocritical. The word “friend” has taken on an entirely new meaning, especially since the comforting noun has morphed into a verb. I for one, however, am not giving it up. I like seeing photos of my far off friend’s children, to hear the latest news, to know when to help friends in need. But I miss the old ways, too, the real face-to-face or even phone-to-phone communication that is second fiddle to the instant news flash or someone pulling a school photo out of their wallet. Mostly, I miss the touch and the security of knowing that try as you may, you can’t fake a handshake or the look in someone’s eyes when they smile. Just like you can’t fake a smile when someone sticks their fingers in their ears. La-la-la-la-la. I really do try to be a decent parent because when it comes to my children, I know that their general health and their behavior are the direct result of the upbringing my husband and I muddle through. I correct their grammar. I watch their language. I encourage good moral character and am constantly forcing upon them such things as exercise, education, and healthy eating habits. Generally speaking, it’s exhausting. Parenting would be a much easier job if I didn’t give a hoot about how clean their bodies, mouths, and minds were. I may not be so drained at the end of each day if I let them just eat French fries and didn’t check their homework. But I do give a hoot and so it goes that by the time they are tucked in bed with clean teeth and a story with a life lesson, I collapse in a pathetic heap. But the universe has something to say to me about all of it. At the store where I do most of my grocery shopping, right on the end cap by the snacks and beverages is a full rack of something that seems to jump out at me every time I roll my cart by. It practically leaps off the rack and challenges my very parenting techniques no matter how I try to avert my eyes. It’s Cheez Whiz, that lovely cheese in a can with a nifty little squirty top so that you can make star designs in cheesy delight on top of your crackers. And if you’re really good, you can make a perfect swirl design so that it builds up higher and higher in the middle of the cracker to form the most splendid little flop at the tip, so idyllic that it looks professionally decorated. 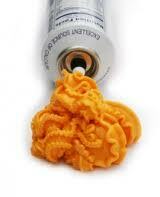 When no one is looking, you can even just squirt it into your mouth. I know all of these things despite the fact that I have had not had any processed cheese in a bottle for years and years. Obviously, I spent a good portion of my childhood eating Cheez Whiz. The stuff was amazing, especially when you could give yourself a Cheez Whiz mustache which was just a line of orange that lay overtop an already shaded upper lip, thanks to the gallon of red Kool-Aid I drank every day. But here I am all those years later, and my poor kids are forbidden to drink red punch of any sort and have sadly never, ever enjoyed a cracker decorated with Cheez Whiz. They’ve never had a three-day red-punch mustache and have never known the joy and wonderment of embellishing a piece of bologna with cheese-ish eyes, nose, and smile. They’ve never even tasted the stuff and I couldn’t feel worse about it. Sure, I’ve done my job filling their little bodies with healthier options. I’ve made sure their cheese comes in a block and their beverages contain a little less of that crusty sugar that settles on the bottom of every jug of punch that was ever made. But I have been selfishly keeping these genuinely fantastic things from them. I’m not sure what side of good parent/bad parent that puts me, but I know that next time the Cheez Whiz stares me down in the store, I’ll toss it with a hefty heave ho into the cart and head down the beverage aisle.